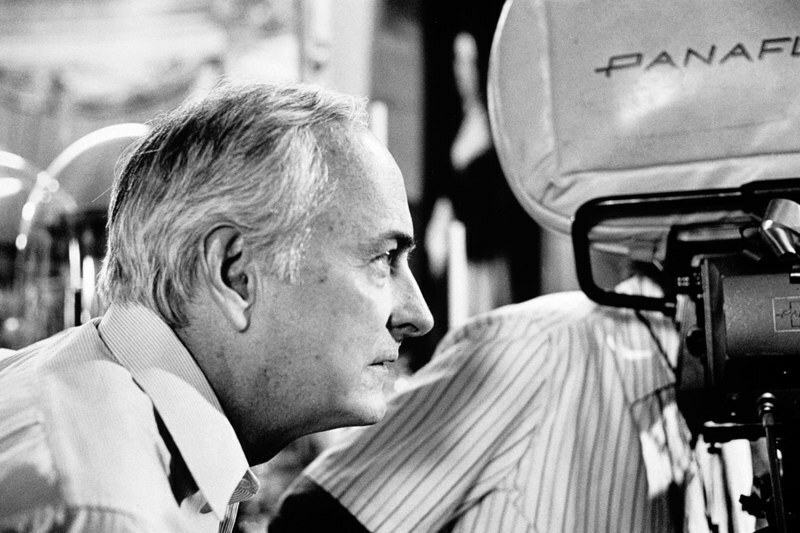 Released in 1983, at roughly the halfway point of the artistic partnership director James Ivory, producer Ismail Merchant and writer Ruth Prawer Jhabvala that lasted more than four decades, “Heat and Dust” is now seen as the film that marked their transition from being the makers of small-scale socially conscious dramas to the creators of opulent period dramas adapted from the works of such esteemed authors as Henry James and E.M. Forster. Based on Jhabvala’s own 1975 novel and set in India, the backdrop for several of their earlier works, the film presents two intertwining tales, one set in the present and the other in the past, involving race, class and sexual hypocrisy with British women at their center. 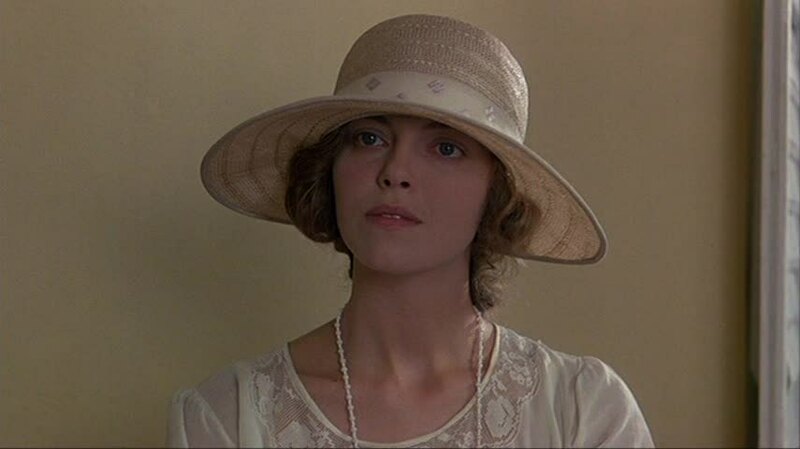 In the period tale, set in 1923, free-spirited Olivia (Greta Scacchi) has arrived in Satipur to be with her civil servant husband (Christopher Cazenove. She quickly finds herself repulsed by her fellow Brits, who run the gamut from stuffy bores to overt racists, but finds herself growing enchanted with the land and its people. She is soon swept up in a taboo love affair with the Nawab (Shashi Kapoor), a member of mid-level Indian royalty, that has the potential to scandalize both the British and Indian concerns. In the contemporary narrative, Olivia’s grand-niece, Ann (Julie Christie), comes to India to investigate her relative’s story after inheriting her diary and a collection of love letters. As Ann proceeds with her investigation, her life begins to echo Olivia’s in certain ways, especially when she begins an affair with Lal (Zakir Hussain), the married head of the family with whom she is staying. A hit throughout the world when it was originally released (with the sole exception of the U.S.), “Heat and Dust” may lack the across-the-board appeal of such Merchant-Ivory hits as “A Room with a View” or “Howard’s End” but it has held up fairly well over the years. It is, of course, beautifully filmed and demonstrates a fascination with India that is compelling without ever slipping into condescension. It also contains wonderful performances from Julie Christie, who at the time had not been seen that much on the screen since the release of “Heaven Can Wait” (1978), and the then-unknown Scacchi, one of a number of actors (including Daniel Day Lewis, Helena Bonham Carter and Hugh Grant) who were given big breaks early in their careers by Merchant-Ivory. The film is also fascinating to watch today because when it finally gets to what the real subject of the film is about—sexual hypocrisy and how it can be found thriving in otherwise completely dissimilar cultures and time periods—it tackles it with a real sense of anger and heartbreak that is all the more striking when one realizes that many of the same issues touched upon here still exist today. As part of a restoration program that has already seen the re-releases of such Merchant-Ivory favorites as “Howard’s End” and “Maurice,” “Heat and Dust” is being reissued theatrically on a program that includes the thematically similar 1974 short film “The Autobiography of a Princess” To promote the screenings, James Ivory got on the phone to talk about the history and impact of the film as well as his own return to the world of filmmaking after an eight-year absence. When people look at “Heat and Dust” it is often seen as a sort of turning point in the history of the Merchant-Ivory filmography, serving as a bridge between the smaller-scale and more socially conscious films of your early years and the larger-budget period films, often adaptations of famous books, that you became synonymous with later on. When you were making this film back in 1982, did you have any sense that it was inaugurating a shift to bigger projects? I didn’t really think about that myself. When the novel came out in 1975, it was a best-seller and it won the Booker Prize and some other people had bought the rights to it. We figured that they would make a film of it and that would be the end for us but they never really got it all together. They had all sorts of ideas about how it should be cast—they wanted Omar Sharif—but they never really raised the money for it and eventually they gave up the rights. At that point, it was exactly twenty years since we had begun working and Ismail said “Okay, this is going to be our anniversary film.” Ruth had been writing screenplays for us all along and was certainly happy with that. We jumped in and we made it. It was a big film for us—it had those two stories set in two different periods, it was obviously going to be a much longer film than we had ever made and it had a big cast. It needed a certain amount of money, which we, in fact, didn’t have. It was a very under-financed movie and we got into all kinds of problems with it later on that were later resolved, happily. It was a big undertaking because of the scale of the story and what we had to do. Did the fact that you were working with Ruth’s book affect your approach to the adaptation process in any way. After all, if you decide to rework the words of someone like Henry James or E.M. Forster, they are obviously not going to complain but does that change when the book in question is by a longtime collaborator? As a writer she never got in the way—just the opposite. In fact, she was very strict about her work and was very critical of it. She just bore down on it like with everything else we did. When she originally wrote the book, she had already written many screenplays for us and knew what it took to do a film. When she was writing it, before she found the final form, she made a lot of cards for each scene and for the two different periods and pinned them up and moved them around in the way that people do with storyboards. It was a very cinematic way of putting a book together and that is what she did. When we actually made the film, we took things apart and moved them around in other ways, particularly with the modern story. It was an ongoing thing between us and she was never shocked by anything we did. The thing that she was shocked by came when we made a movie of her first novel, “The Householder” (1963). She wrote the screenplay for that also and when she saw it, she was horrified because there was so much dialogue in it. She thought that we were out of our minds to have used so much dialogue and it taught her a lesson about dialogue; from then on, she was very careful about how much dialogue she used. She always believed that if you were adapting a book and had ten marvelous lines, you could do very well with just three of them. I always felt the opposite. I like a lot of good dialogue if it is well-acted. She and I would fight on that—I wanted to put things in and she would always want to take things out. Both as a setting and as a subject, India has informed any number of your films over the years, including “Heat and Dust” and “The Autobiography of a Princess,” the 1975 short film that will also be screening during this re-release. What is it about India that particularly spoke to you as a filmmaker? My interest in India began with my interest in Indian painting and music and that grew. I made a film about Indian miniature painting and then got a grant to go off to India and make a sort of documentary profile on Delhi. Once I was there, I just adored the place and it just sort of stuck with me. I met Ismail and he had the idea of making English-language pictures in India for foreign export. That is what he wanted to do and that is what we did do. We made four features and a number of shorts and then “Heat and Dust” and then a couple of Indian features that he directed. I can’t tell you why someone falls in love with a place—I just did and I was happy to work there until I wanted to come back and work in America. In several of your films, you have given big breaks to relatively unknown actors by casting them in lead roles—Hugh Grant in “Maurice” and Helena Bonham Carter and Daniel Day Lewis in “A Room with a View” immediately leap to mind—and that was the case with “Heat and Dust” when you gave the key role of Olivia to the then-virtually unknown Greta Scacchi. How did you come across her and what was it about her that caused you to see her in that part? We saw a lot of different girls in London for that part and we still hadn’t found somebody who I thought just had it. Then a casting director told me about Greta and gave me some clips of TV performances to watch. Then she came to meet us and that was it. It was everything about her. She was 23 and she was perfect. We had never been afraid of casting unknown young actors in major roles and it always seemed to work out—for them and for us. At the other end of the scale, you also managed to cast a genuine screen icon in Julie Christie, whose presence was even more significant because she had sort of begun to shy away from making movies around that time. How did you get her for the film and what was it like working with her? She had come to us. She had done a lot of things and won the Academy Award but, as is the case with a lot of actors, a certain point comes when they look around and wonder if this is really what they want to do. She really liked the idea of going to India and I think that was the hook. That part had been offered to a number of actresses but none of them showed much interest in it because I don’t think that they wanted to go to India. She wanted to and when she said yes, we were very happy. When “Heat and Dust” was released in 1983, it was your most successful film up to that point and was a hit around the world with the sole major exception of the U.S. Why do you think the film managed to strike a chord with so many different audiences and why do you think that it failed to make a mark here? I have theories about that. In the first place, it came out in England and the book was pretty well known by that time—it was principally about the English and the British Raj and the British are very sentimental for that sort of romantic part of their history. I think that was part of its charm and drawing power. Similarly, it was taken up in other parts of Europe such as France and Italy and for similar reasons, I think. However, when it came to this country, it was released by Universal initially and there has always be a kind of horror here regarding Indian films, including the ones from Satyajit Ray. People were afraid that—and I heard this over and over and over—that they would see dreadful scenes of poverty and degradation and that any film made about India would be a downer. I really think that is why it was not so successful in this country and that feeling continued up until the release of “Slumdog Millionaire,” which is ironic because the world of that film is exactly what people theoretically didn’t want to see. Also, it was one of those situations at the studio where the people who buy the film are very excited about it and wanted to distribute it are no longer there when the film comes out. Then, the film falls into the hands of people who are less enchanted with it and they just sort of sit on it. That is what happened here with Universal. “Heat and Dust” is part of a series of restorations of titles from the Merchant-Ivory library that have already seen the reissue of “Howard’s End” and “Maurice.” How did this program come about and what films are on tap for future restorations? They have some of the films but not all of them. Principally, Cohen Media has the films that belonged to us. We had a number of features that we made ourselves and owned outright. There are other films of ours where we either partnered with a studio or the studio owned them outright and those studios are handing those. Cohen Media bought the Merchant-Ivory library and they have chosen the films, along with some discussions from me about what they should do first. When you look at the films again, are you satisfied with the results or do you wish that you could go back and make all kinds of changes? You always feel that—everybody feels that about anything. You can’t go back and change everything because it is incredibly expensive to do. You just have to learn to live with your mistakes. If there aren’t too many of them and they aren’t too big, people generally don’t seem to notice them. Your last film, “The City of Your Final Destination,” came out in 2009 but you now have a new array of projects on the way. 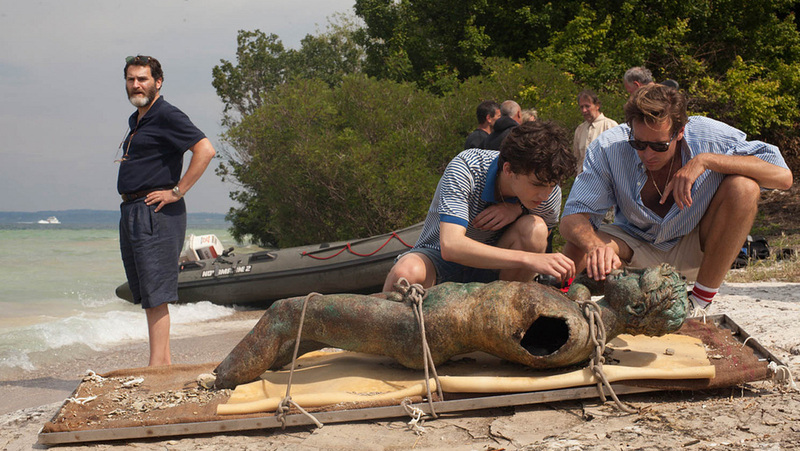 You wrote the screenplay for “Call Me By Your Name,” which has been receiving raves on the festival circuit and is being slated for a major award push later this year. How did that project end up coming your way? It came about because there was a couple who bought the screen rights who also happen to be neighbors of mine in upstate New York. We have mutual friends and so they came to me and asked if I would like to be an executive producer on this film if it ever got made and I said sure. They could never raise the money for it or find a director that they were happy with. Then they got involved with Luca Guadagnino and he and they said that I should be involved with this and that I could co-direct it with Luca. I had never done that before but I thought “Why not?” and since so many scenes in the novel were in Italian and I don’t speak Italian, it seemed like a good idea. Then I said that along with co-directing it, I wanted to write my own screenplay and they said fine. I went and wrote the screenplay and then it turned out that when they got the money, the French financiers said that they didn’t think that having two directors was a good idea because it would cost more and there might be disputes on the set. Instead, they wanted me to sell them the rights to the screenplay and I said that I would. I was very much involved with a lot of the planning but once they began shooting, I did not go to the shoot. It has also been recently reported that you are in the early stages of a planned screen version of Shakespeare’s “Richard II” that you will be directing. You wouldn’t call it “early stages” because this is a project that we have been working on for about twenty years. We attempted it at Merchant-Ivory first and later on, after Ismail died, there was a real push to get that made but so far, we have not been successful. I don’t have a producer now that has the energy and commitment that Ismail had, nor the abilities that he had. If it is ever going to happen, I need someone like that. Next Article: A Film in the Present Tense: Jean-Pierre and Luc Dardenne on “The Unknown Girl” Previous Article: Nobody was Listening for 21 Years: Nnamdi Asomugha and Carl King on "Crown Heights"